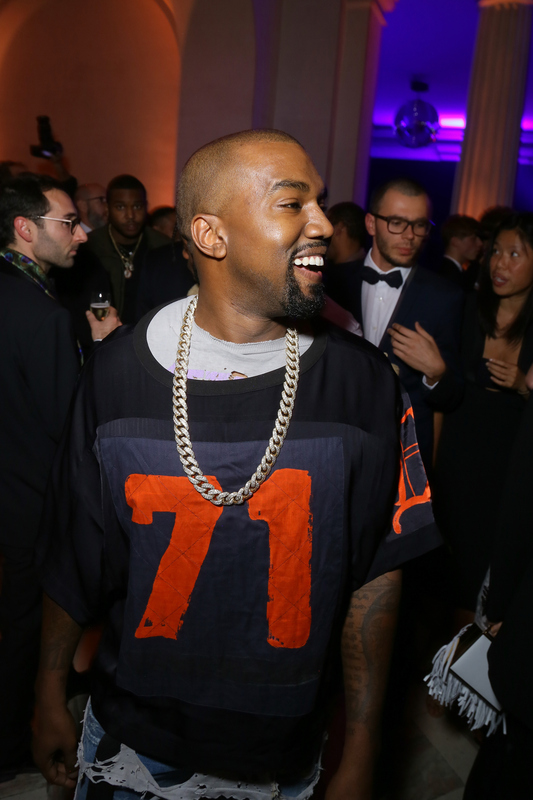 In the past week, one name keeps popping up over and over again: Kanye West. West not only dropped his new album, The Life of Pablo , but he also performed on Saturday Night Live and held a sold-out Yeezy Season 3 fashion show-slash-listening party at Madison Square Garden. In addition to his career ventures, there's another reason West is everywhere — he can't stop tweeting. Between defending his Taylor Swift diss and writing "BILL COSBY INNOCENT" with a bunch of exclamation points, there's a lot going on with his Twitter account. His latest string of tweets is perhaps the most surprising: West begs Facebook's Mark Zuckerberg to invest $1 billion in his ideas. I've got to wonder: Do Zuckerberg and West even know each other? It's a valid question, considering personally, I'd only ask to borrow money from a good friend. And at the most, I'd ask for $5, not a billion. In his stream of tweets, West writes, "Mark Zuckerberg I know it’s your bday but can you please call me by 2mrw…" So this means two things: First, West thinks he knows Zuckerberg's birthday, and secondly, Zuckerberg has West's number. Those are two things that signify some sort of companionship, right? Nope, it's not over yet. There's more! Now that everybody's on the same page, here's what a round-up of what's known about West and Zuckerberg's bond. Despite West's statements about Zuckerberg loving his art, I'm not so sure that's true. On his Facebook page, Zuckerberg's musical interests include everyone from Lady Gaga to Beyoncé to Green Day to Jay Z. But you know whose name is missing from the list? Kanye West. Maybe West is wrong and he's not his favorite artist after all. Plus, in 2011, Zuckerberg posted Eminem lyrics from the song "Lighters" on his Facebook status. Zuckerberg wrote, "Had a dream I was king. I woke up, still king." He even dubbed this his "favorite lyric in awhile." Sorry, 'Ye! In July 2010, West performed at the Facebook headquarters in California. He even dressed up in a suit for the occasion. At the time, Rolling Stone reported that "tweets prior to West's performance suggest that the rapper was there to meet with Facebook chief Mark Zuckerberg." (Unfortunately, a look back at West's Twitter shows he deleted all messages prior to 2013.) West also reportedly wrote a blog post about the experience, which ended with "Love to all my fans, especially at Facebook." It's unclear whether the two actually hung out during West's Facebook visit, and how much time they spent together if so. If you skip ahead to the 4:10 mark in the video, there's a guy in a t-shirt, who walks out with West and may be Zuckerberg. Too bad the video is too grainy to tell. Despite my fervent Google searches, this is the only documented time that these two may have met. Although it seems like West isn't going to get that money anytime soon, there is a light at the end of the tunnel. West considers Anna Wintour one of his good friends, and guess what? Wintour took a trip to Facebook's headquarters last October. According to Next Shark, Zuckerberg even gifted Wintour an Instagram hoodie, to which she replied that she's never worn one of those before. Still, she was a good sport and posed with it. If Zuckerberg can get the Vogue legend to rock some casual wear, maybe Wintour can be equally influential and help West meet Zuck. In other words, she may be able to work her magic and play friendship matchmaker. After all, West thinks they're on a close level themselves. Wintour was in the audience at West's Yeezy Season 3 show and even sat alongside the whole Kardashian-Jenner family. Despite West telling Zuckerberg "I know it's your bday," he's actually wrong. It turns out the Facebook CEO's birthday is actually May 14. That means that West was three months early with his birthday wish. Talk about awkward! Hopefully he didn't send him a card or cake in the mail just yet. Here's my conclusion: Apparently West thinks he and Zuckerberg are close. But considering Zuck hasn't even weighed in on money debacle yet, it seems like they're not as tight as West thinks. This feels like one of those awkward middle school situations where someone thinks they're way better friends than they actually are. I hope someone breaks the news to him gently.